Dave Roat, Strategy Manager at Cubic Transportation Systems, spoke to Tara Nolan, Junior Editor of Intelligent Transport, regarding the advantages of seamless travel, the role technology must play and the importance of public private partnerships. Why should public transport operators embrace the idea of frictionless travel? How can they do so? To create a frictionless experience, transport operators need to embrace a cloud-based, open system. This will enable them to gain insight in to real-time commuter travel data, while integrating back office, payments, hosting and inspection functionality. Armed with this data, operators will be able to predict congestion and maintenance issues before they happen, increasing efficiency, optimising marketing activities and ultimately improving the passenger experience. Technology that provides situational awareness across an entire network and enables frictionless travel is emerging. This easily allows one operator to communicate an incident with multiple other agencies; ensuring seamless travel for all users. For example, if there is a fire on a bridge, a transport operator can see this incident instantly and alert everyone else in the ecosystem in real time, including bus, ferry and bridge operators, as well as the travelling public. This means each transport operator can make relevant changes to their scheduling whilst giving passengers an opportunity to decide on the best route or mode of transport. It’s all about breaking the silos and working together as a city. 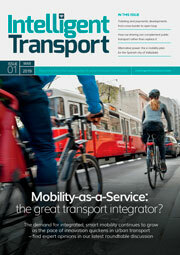 Which modes of transport will be key in developing seamless transport services? Joining existing modes of transport together would provide a better, more seamless transport experience. If there are any gaps, then expanding extra services or bringing in different providers would help. The big infrastructure is already in place to support transport, but this needs to complimented by new modes that will fill any gaps. 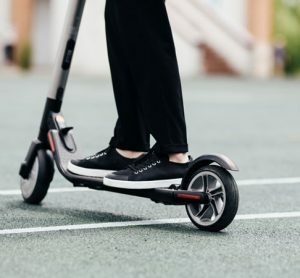 For example, electric scooter, cycle hire and shared ridership schemes can be combined with public transport, with commuters using them for the first and last miles of a journey. What technologies are key for the successful evolution of transport? Integrated journey planners and integrated payments will form a major part of travel over the next few years. By having a live view of the network across all modes will help a traveller complete their journey in the most efficient way. IoT will play a big part in this. The technology that enables data scientists to use information and create algorithms to understand the normal and abnormal situations on the transport network already exists. When there is an abnormal situation, that information is passed to products such as Cubic’s Transport Management Platform which can predict an issue will occur 30 minutes in advance. As technology evolves, this will become quicker, meaning we can help plan better and minimise disruption. We’ll also see technology developments improve connected and autonomous cars. For example, the data that goes to the gantries on the road to say ‘slow down, accident ahead’ can be sent to apps on a mobile phone, into traveller’s cars and built into navigation devices. This would mean that when cars go through geo-spatial areas, they get given feedback in real time regarding the situation on the roads and can then act accordingly. This ensures minimal congestion. Studies show that when cars go at the required speed suggested by traffic management systems, the back log of traffic is significantly reduced compared to when they go at the speed a driver determines is appropriate depending on the road ahead. And then there’s MaaS, which will revolutionise transportation and transform the whole commuter experience. What role will MaaS have in the future of seamless transport? MaaS will enable passengers to travel and pay for their journeys in the way that suits them most. It means that journeys can be planned on whatever criteria is important for the traveller at the time. 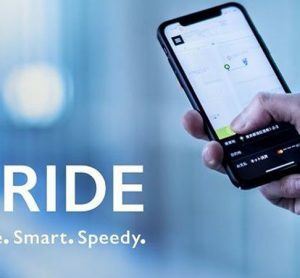 It enables commuters to use a single account for all travel transactions and information – be it public transport, cycling or Uber – which gives them easy access to journey-planning information and guarantees fare transparency as paid for by the user as a single charge. MaaS is enabling consumers the freedom to travel the way they desire, by removing friction and offering more choice in facilitating end-to-end journeys. 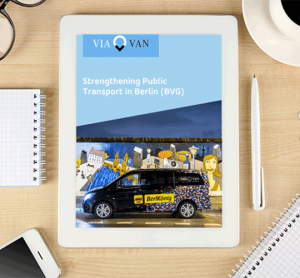 The wider potential of MaaS is its ability to reduce congestion in cities by decreasing the reliance on private vehicles as the main means of transportation, which also increases road space. We’re already seeing major cities such as Melbourne, Brisbane and Sydney announce long-term strategic plans for their transport networks which include MaaS. There’s still some way to go to see the full rollout of MaaS, but the idea of a more streamlined and cost-effective way of travelling around cities will be the catalysts for faster adoption. What kind of partnerships between private and public companies need to exist to make this happen? There needs to be an economic relationship that allows private and public organisations to operate in an integrated way for the benefit of the traveller. Public and private providers within a region should unite under the same customer administration and payment infrastructure. The private sector can bring its assets to the bigger transport projects, to help financially and in regard to project design and implementation. The public sector is crucial to ensuring that the wider social and economic benefits are delivered to the community. By giving passengers one unified account, MaaS will make it easier for public and private companies to partner with each other. For example, the London River Service now uses Oyster and is a cooperative partnership between TfL and a private company. How will public and private companies need to adapt in the coming years to ensure they are successful? To build a successful network, public and private organisations need to work together. For example, shared ridership vehicles do not need to compete with trains, but instead be seen as complimentary solutions. 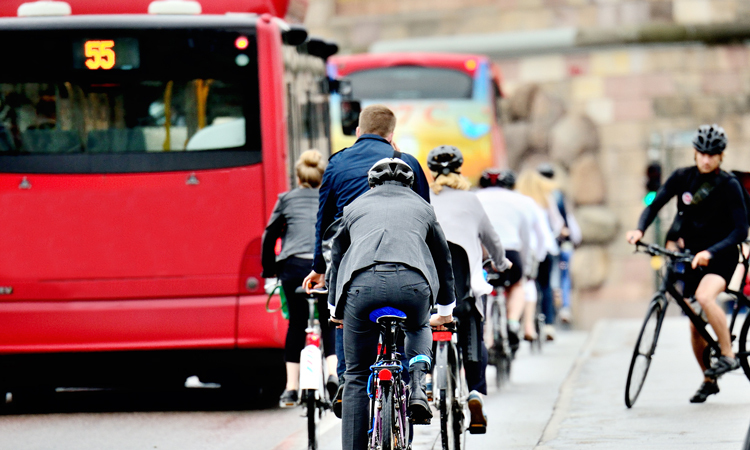 One of the biggest future challenges that needs to be overcome is congestion within cities. To counter this, public and private organisations will need to come together and take advantage of the vast amounts of data that are now available. By analysing, sharing and authenticating data in the right way, transport operators can better know their passengers and understand that their end customer is the same, whatever mode of transport they are travelling on.